Amazon has made some big acquisitions over the years. Whole Foods cost around $14 billion. Game-streaming platform Twitch and online shoe store Zappos weren’t cheap either. For its next act of ruthless corporate consolidation, the everything store run by the richest man on Earth reportedly plans to drop over $1 billion on doorbell company Ring, probably the one element of package delivery Amazon hasn’t found some way to wring more money from yet. Amazon confirmed the planned acquisition to Reuters, but would not comment on the terms of the deal, which were provided to the news agency by an unnamed source. The Bezos empire has been lusting after doorbells—or more specifically, door cameras and keyless entry—since at least 2016, when it offered to buy a smart lock company called August for $100 million. When August turned down the offer, Amazon released a camera and keyless lock system called Key to allow its contractor couriers to stuff those Prime-shipped packages inside your home. Key hasn’t exactly taken off, with consumers rightfully wary about giving strangers access to their homes. So what’s the sense in paying an order of magnitude more for Ring than they offered August? Consumers likely aren’t the main play. Conversations with a number of Amazon couriers suggest one of the major inefficiencies in their package delivery stems from businesses and large apartment complexes. If Amazon can sell landlords and business owners on installing Key (or Ring, or whatever they end up branding it as), it’s a win in the immediate, and another (anti-)competitive edge over USPS, UPS, and FedEx, whose couriers might not have keyless access. It’s the latest (and most obtuse) part of a wide-reaching plan for Amazon to control its own delivery service, which includes warehouses it owns, warehouses it doesn’t own, a network of couriers and courier company partnerships, and now... doorbells. 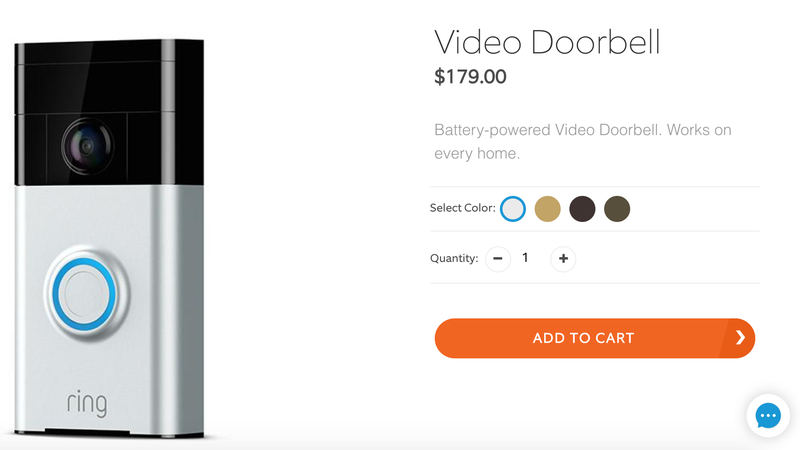 Doorbells, which, as GeekWire pointed out, already interface with Amazon’s Alexa platform. All from a company that effectively paid zero dollars in federal income taxes last year.